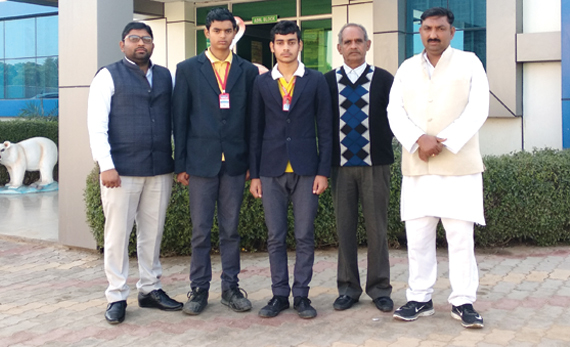 RRCM school of group gets seven 1st position out of ten Contest which is organised by Haryana Education Department. 24 JEE-Mains selections in 2017, 19 JEE-Mains selections in 2016,11 AIPMT selections in 2017, 08 AIPMT selections in 2016, 28 Olympiad medals in 2016-17. 2nd District Topper in 12th examination. 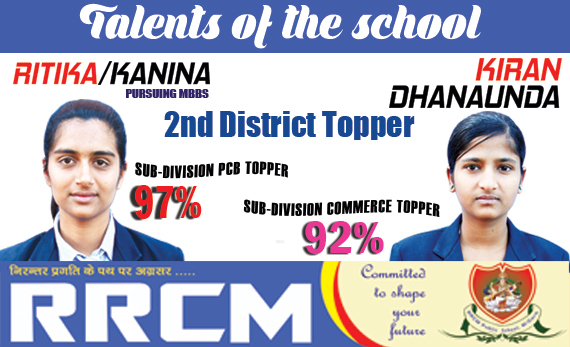 Ritika from Kanina and Kiran from Dhanunda gets 2nd position in district with 97% and 92% respectively. 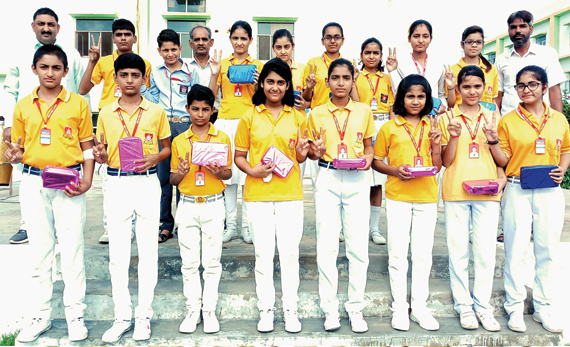 Ritika was 2nd in Sub-Division PCB Toppers and Kiran was 2nd in Sub-Division in Commerce Toppers. 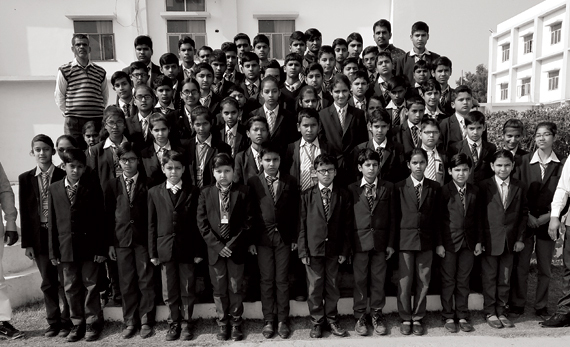 Achievement in Bal Bhawan Rewari. 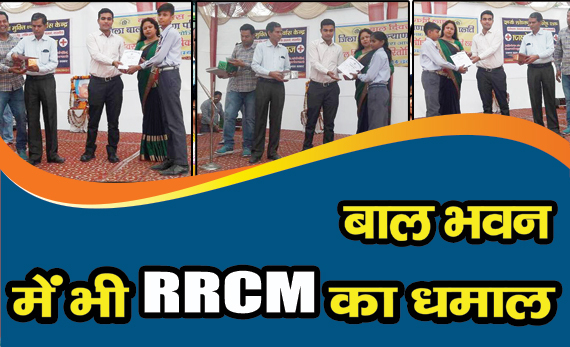 RRCM school of group is the only one in sub-division who achieve 2nd and 3rd position in Clay Modeling, mono Acting, Skecting and Rangoli held at Bal Bhawan . 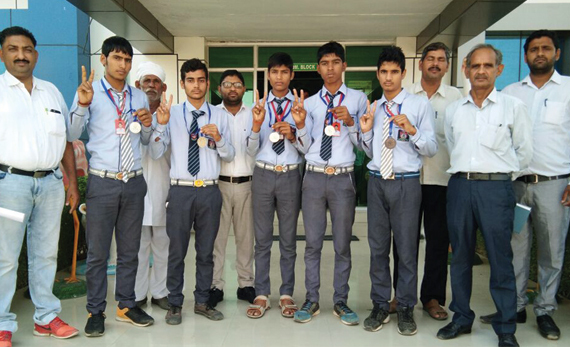 With 26 Gold Medalist, 09 sliver Medalist and 32 Bronze Medalist there are total 67 students achieved success in National Science Olympiad. 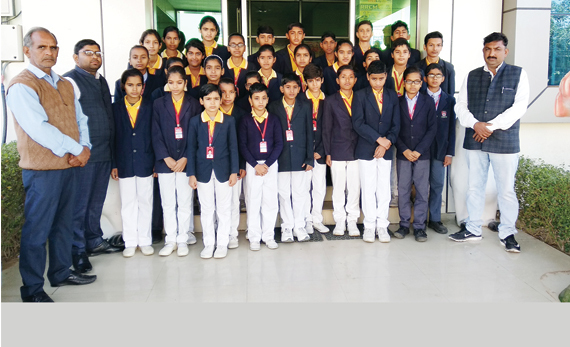 RRCM School of group students gets 119 medals in Math olympiad. There are 57 medals of distinction, 46 Gold Medalist, 11 Silver medalist and 05 Bronze medalist. 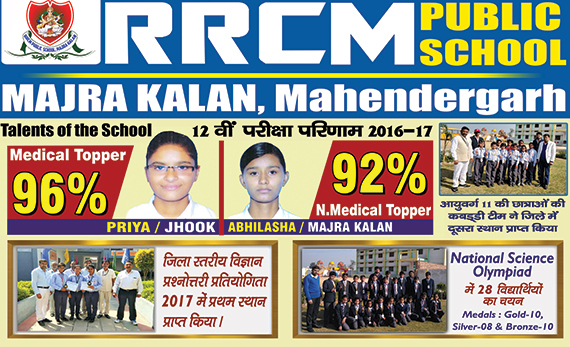 RRCM School of group students gets 2nd position in CBSE Cluster 2017. 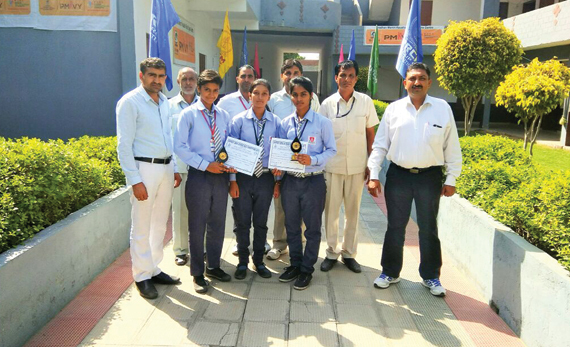 1st Position in Male kabaddi in ( 17 Age-Group ) and 1st position in Female Kabaddi in ( 19 Age-Group) in District Level Games organised by Haryana education Department. Priya from Jhook has been topper with 96% marks in medical and Abhilasha from Majra Kalan has been topper with 92% marks in Non-Medical in CBSE result 2016-2017. 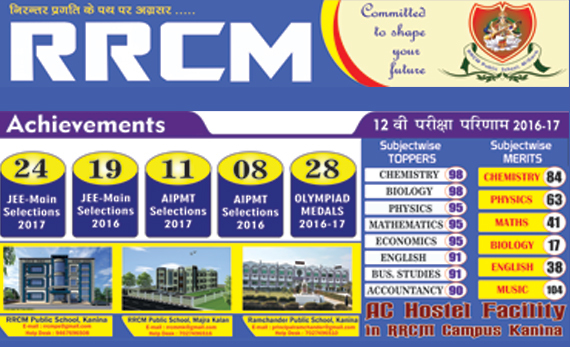 RRCM group of School gets 1st position in District Level Quiz 2017. 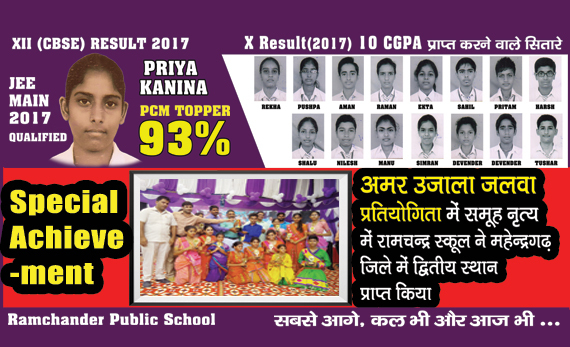 Priya from Kanina became PCM Topper with 93% markes has been qualified for JEE- Mains and 10 students gets CGPA in CBSE- Exam. 2017. RRCm gets 2nd Position in Group Dance in Amar Ujala Jalwa Competition. RRCM Group of school Girls Hockey Team gets 1st position in District level hockey games under 19 group age.